Just Snaps had a post about coffee earlier this week, but today I want to focus on tea! 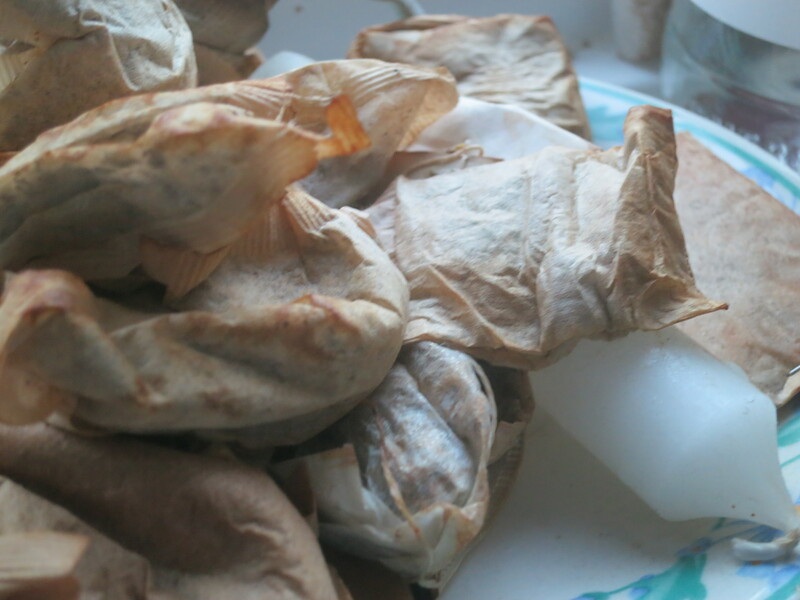 Above are used teabags. The drinking of tea is over – the ritual of afternoon tea no longer possible. These are dried and not yet emptied but waiting with purpose. Tea contains tannin which is a great aid in natural dyeing. 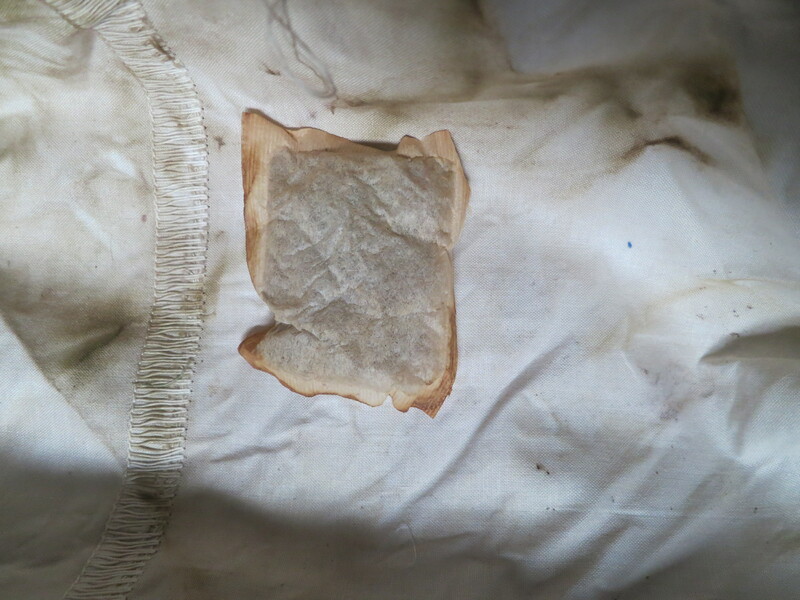 The picture above shows some suitably coloured naturally dyed fabric (dyed with leaves, not tea leaves, aided by tannin). It is for a small project which will hopefully be finished by Christmas. You can see just a part below. Full details of the Weekly Challenge can be found here. Just Snaps has one too. I’m a tea-drinker, too, so I recognize those dried bags, although I often use a mesh strainer these days. You always manage to make something simple look really pretty! Thank you, I now have two new blogs and a new piece of work. You will find much more interaction on WP, and not so many frustrations……. Will follow shortly. See how easy it is to comment….. So nice … and very interesting! Is this your *main* blog now? So interesting, good recycling of the bag. 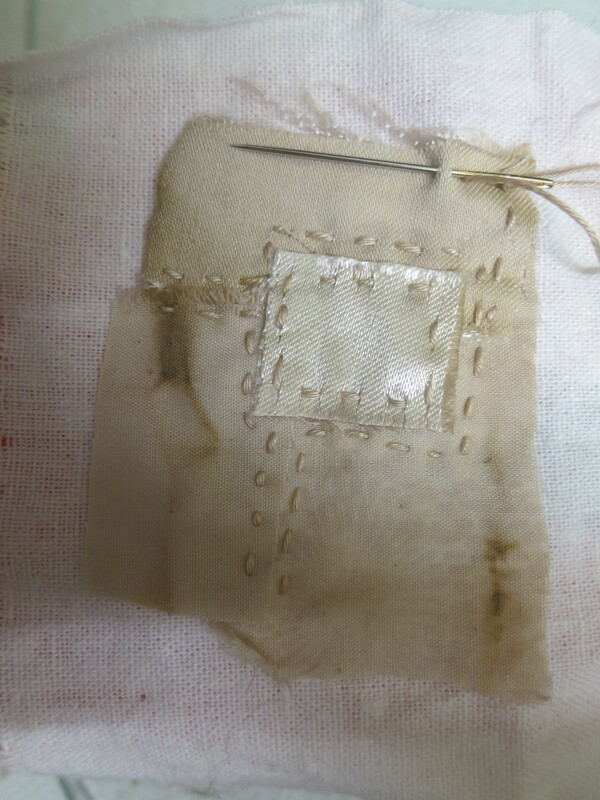 I remember my mom dying a tablecloth with tea… wonderful what we can do with natural things at hand! Previous Post It’s Thursday ….. just….